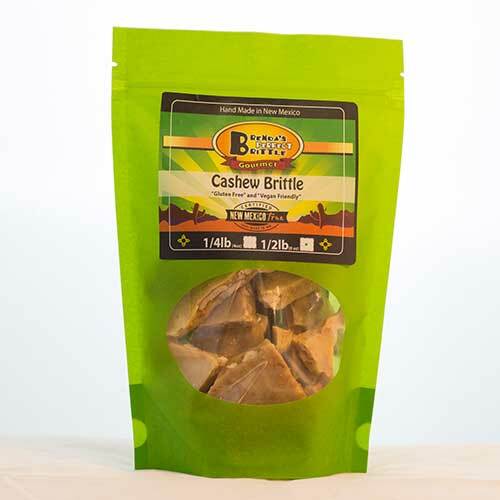 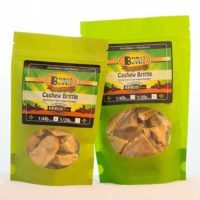 Cashew Brittle. A sweet treat! Crafted with fresh cashews and sweet ingredients. A healthy snack for all year round! 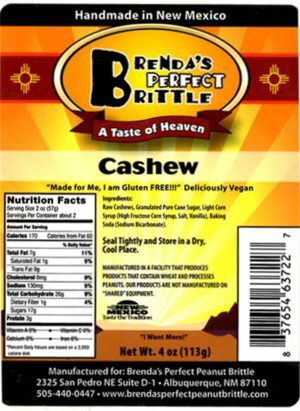 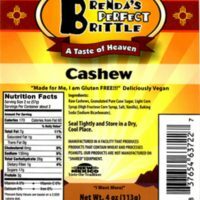 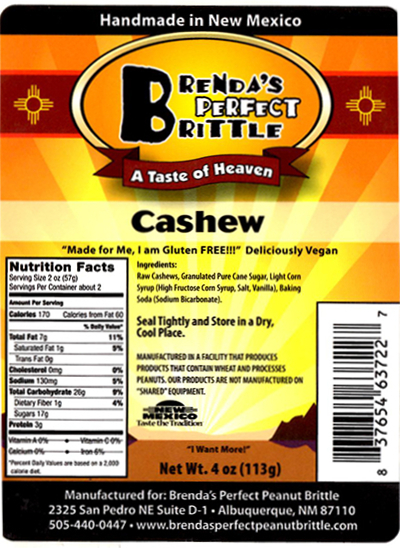 Raw cashews, granulated pure cane sugar, light corn syrup (high fructose corn syrup, vanilla, salt), baking soda.